September Topwater Season Lake Texoma is Fantastic! JD Lyle loves to take customers topwater fishing in September! Striper will push threadfin and gizzard shad in 2 feet of water in the early AM and late PM! Throwing big topwater plugs to the beach and walking them back to the boat waiting for the explosion! Every cast is a ticking time bomb! Cast…….twitch, twitch, twitch……..KaPow……Big Fish On! Don’t worry Captain JD Lyle already has the net! Lake Texoma Topwater Striper Fishing is like a drug! Once you catch a big striper on topwater…..you need that tug again and again! The videos are from September 18, 2014, and September 19, 2014! We caught lots of nice Striper on big topwater plugs! The Pencil Popper is the number 1 topwater Striper lure on Lake Texoma. This topwater bait doubles down as a chugging and gliding lure. You can pop or chug this lure, or walk the dog or glide it back to the boat. Throw the Pencil Popper up to the beach and hang on Striper will explode on it! Lake Texoma Fishing Guide Quick Tip #1: Let the Pencil Popper rest for 20-30 seconds after your cast. Let the water rings settle then work the bait back to the boat. Striper will smash this lure as it sits dead still! This is a classic walk the dog glide bait that Striper crush on Lake Texoma. Striper will key in on smaller gizzard shad and the Pencil Popper can be too big at times. The Super Spook is very stealth and better used on calm days. Windy days call for other styles of topwater lures. We take off the middle treble and replace the back treble with a single hook dressed with bucktail and flash. Cut one of the front barbs off too for easy release. Lake Texoma Fishing Guide Quick Tip #2: Mash all your barbs down on topwater lures for easy release. This will help if you get a hook in the hand or ear too! You will find some sandy areas that have only 3-4 inch threadfin shad and a 5-7″ topwater will NOT catch Striper! Have a 4″ PopaDog ready. Rember to match the hatch for a more successful Striper Trip. Burns Run tends to have a lot of threadfin shad so a 4″ topwater a must in this area. When the wind is big you have to show the Striper where the topwater lure is with some sound! The Chug Bug moves water and makes a popping sound that Striper feel and see in the wind. Don’t be afraid to take the front treble off and keep the dressed rear hook. Striper will key on a dressed hook! This lure is expensive, but you guys spend $ 4000.00 on a graph? Loosen up a bit and spend $ 40 on two topwater lures that dominate Lake Texoma! Slow roll these back to the boat and hang on! When you outfish your partner, sell him the other whopper Plopper for $ 50 🙂 You can cast this lure a mile into the wind and move it slow or fast back to the boat! Lake Texoma Fishing Guide Quick Tip #3: Remember to be very quiet in shallow water. Stealth equals more Striper in the net! Fish shallow and cast to the beach. Summer fish the sand, Spring fish the rocks! make sure you cover water too! You will find small pods of Striper as you fish a sandy shoreline. For more information please follow Lake Texoma Fishing Guide JD Lyle. Lake Texoma Fishing Guide JD Lyle gives anglers the Top 5 Topwater Lures for Striper! 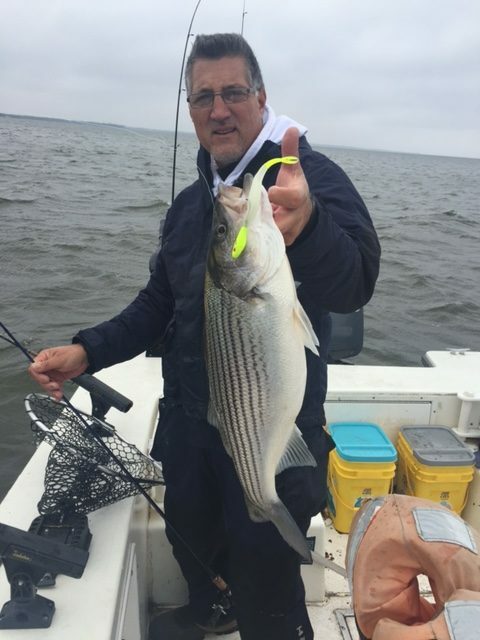 The post Looking Back-Striper Fishing appeared first on Lake Texoma Striper Fishing Guide-JD Lyle. The post September Topwater Season Lake Texoma appeared first on Lake Texoma Striper Fishing Guide-JD Lyle.